Skanda Sashti 2017 dates are from October 20 to October 25, 2017 with Soorasamharam. Tirukalyanam is on October 26. Skanda is a famous Hindu God quite popular in South India particularly in Tamil Nadu. Along with Lord Ganesha, Lord Skanda is also the son of God Shiva and Goddess Parvati. Skanda is considered as the younger brother of Lord Ganesha in South India whereas Skanda is considered as the elder brother of Lord Ganesha in North India. 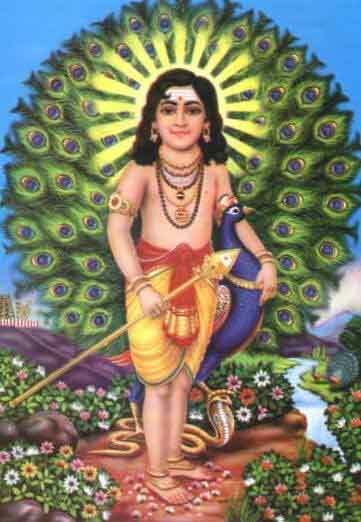 God Skanda is also known by the names of Murugan, Kartikeyan, Kumaresa, Guha, Shanmukha, Velayudhan and Subramanya. Valli and Devayani are two wives of Lord Skanda. Sashti Tithi, which comes during Shukla Paksha Sashti day, is dedicated to Murugan or Lord Skanda. Many people fast on this day of Skanda Sashti. Skanda Sashti is observed on the sixth day of the bright fortnight of the Tamil month of Aippasi (October – November) and is believed that Lord Skanda killed the demon Taraka on this day. Skanda Sashti Vratam or Kanda Shasthi Vratam is considered the day when Sashti Tithi is combined with Panchami Tithi, therefore Skanda Sashti Vratam is to be observed on Panchami Tithi. Skanda Sashti is also known as Kanda Shashti. When Panchami Tithi concludes or Sashti Tithi begins between sunrise and sunset then both Panchami and shashti are united then this day is observed as Skanda Sashti Vratam. Dharmasindhu and Nirnayasindhu scriptures have this rule written. Popular Murgun temple - Sri Subrahmanya Swami Devasthanam in Tiruchendur, follows this rule along with other Murugan temples in Tamil Nadu and Soorasamharam day is observed one day before Sashti Tithi if on previous day shashti Tithi is combined with Panchami Tithi. The Tiruppugal, one of the famous religious book in Tamil, contains the devotional songs of Arunagirinathar in praise of Lord Subramanya. 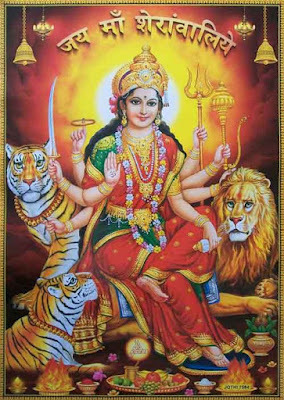 Hymns from Kavadichindu and the Skanda Sashti Kavacham are also sung on this day by Skanda devotees. People observe six days fasting starting from first day or Pirathamai of Karthika lunar month and concludes on the sixth day known as Soorasamharam day during the Skanda Shashti fasting. Soorasamharam is the final and most significant day during the six days festival as it is considered that Lord Murugan killed Demon Surapadman on this day and thus Soorasamharam festival is observed year after year to mark the victory of good over evil. All Sashti(s) tithi's are dedicated to Lord Murugan or Skanda but Shukla Paksha Sashti that comes in lunar month Kartika (which is during Solar month Aippasi or Karthikai) is the most important. Murugun devotees fast six days which lasts on Soorasamharam day. Tiru Kalyanam is the next day after Soorasamharam. Next Skanda Sashti after Soorasamharam is called as Subramanya Sashti also known as Kukke Subramanya Sashti occuring in the lunar month Margashirsha. Non-vegetarian food is completely avoided, although some people even avoid garlic and onions. Lord Muruga scriptures are recited like Skandha Shashti Kavasam or Subramanya Bhujangam. People do visit the Skanda temples. Some people fast for the full day, some eat only one meal, some people consider to take only fruits and juices during the 6 day festival. Mantra "Om Saravanabhavaya Namah" is recited by Lord Murugun devotees. Marudamalai Murugan Temple is one other Skanda shrine. Kukke Subramanya Temple, near Mangalore, Karnataka, is also very popular temples dedicated to Lord Kartikeya but not forms part of six abodes of Lord Murugan located in Tamil Nadu.